South Texas College will be closed on Jan. 21 in observance of Martin Luther King Day. STC will still hold extended hours at its three main campuses Pecan, Mid-Valley, and Starr County on Jan. 19 from 10 a.m. to 2 p.m. Classes begin Jan. 22, and registration services are available 24/7 via JagNet and at SouthTexasCollege.edu at www.southtexascollege.edu/register/. Minimesters also begin on Jan. 22, which is the start of the spring semester. Students can register up until the first day of class. 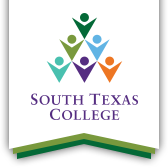 For more information about spring registration, call South Texas College at 956-872-8311.